Ideally, dynamic stretches are done as part of a warm-up program just before engaging in an activity. The lowering of blood glucose by stretching relies on two major physiological principles. Muscles such as the biceps brachii are complex organs composed of nerves, blood vessels, tendons, fascia, and muscle cells. Stretching Anatomy, Second Edition, is a visual guide to 86 stretches for increasing range of motion, muscular strength, stamina, posture, and flexibility. 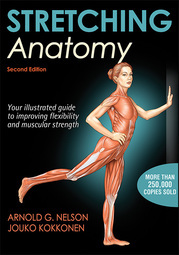 Step-by-step instructions describe how to perform each stretch, while 110 full-color anatomical illustrations highlight the primary muscles and surrounding structures engaged.